Is Lemon Juice Good or Bad for Your Skin? Thanks to Pinterest, YouTube, and all of the other sharing websites out there, DIY skin care has become all the rage. While some of the DIY advice is great, most of the people on these websites aren’t actually skincare experts. This means that you’re bound to run into some bad suggestions pretty regularly. One of the most popular DIY skincare trends is using pure lemon juice on your skin. This is a big no-no in the dermatology world. Pure lemon juice can be very bad for your skin, causing serious damage. WHY DO PEOPLE THINK THAT LEMON IS GOOD FOR YOUR SKIN? WHY IS LEMON JUICE ACTUALLY BAD FOR YOUR SKIN? 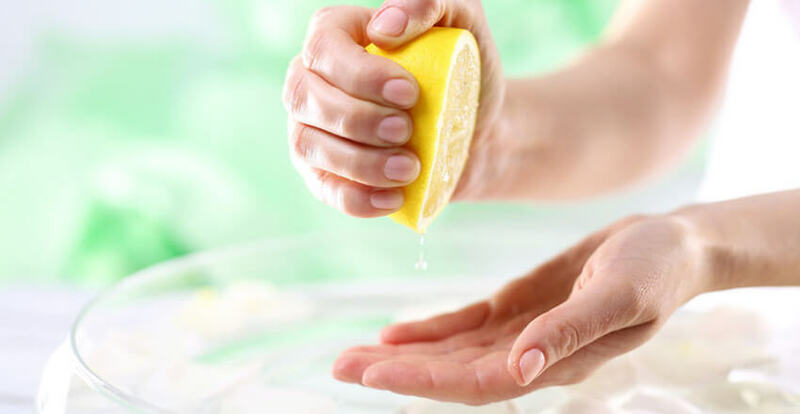 Since lemon juice is highly acidic at 2 pH, it can cause permanent damage to your skin. Lemon juice can change the natural pH of your acid mantle, potentially causing skin irritation, hyperpigmentation and sensitivity to the sun. The worst and most serious side effect of lemon juice is a chemical burn. Citrus oils can be phototoxic. When you go out in the sun, lemon juice can increasingly irritate your skin, potentially leading to a chemical burn that may cause permanent damage, not to mention serious pain. Acid content varies from lemon to lemon. So when you put lemon juice on your face, you never know exactly how much acid you’re using. The first time you use lemon juice, you might be fine. But the next time could cause serious issues. It’s best to use products that are carefully designed to safely and effectively improve your complexion. Thankfully, there are safe alternatives to lemon juice that provide all of the same benefits, and more! Products and treatments that contain alpha hydroxy acid should provide similar exfoliating and pigmentation benefits that lemon juice provides. At True Skin Care Center, we offer an Alpha Hydroxy Acid Chemical Exfoliation that includes glycolic and lactic acids. This treatment can improve pigmentation, stimulate collagen and promote moisture retention. For an at-home treatment, it’s hard to beat Environ’s Alpha Hydroxy Gel. It can be used as a mini-peel and works to soften, smooth and gently exfoliate your skin, providing a silky smooth texture. Pure lemon juice can potentially wreak havoc on your skin. To keep your skin looking and feeling its best, stick to proven products that are designed for and tested on skin. Contact us to learn more about lemon juice alternatives. We’ll help you find the best product for your skincare goals.